You’re here to learn, right? But learning doesn’t just happen in the lecture hall. When you expand your university experience by becoming involved in your campus and community, you learn so much more about yourself. And if you want to build a career that’s filled with interesting things and people, self-knowledge is the name of the game. UBC and LFS offer loads of experiences both in and out of the classroom where you can try new things. You never know how you’ll grow — but as long as you stay open to new experiences and follow what interests you the most, you’re going to be way ahead of other people who don’t have that kind of clarity. There is no “right” way to make a memorable UBC experience, so get inspired by what LFS and UBC have to offer, and get out there! University is a time of discovery. You’ll have myriad opportunities to reaffirm your path (or discover new passions you didn’t know about), meet people who share your values and interests, and push yourself outside your comfort zone in trying something new. The experiences you have will shape the person you’ll become — and the memories you create will last a lifetime. Developing all the different aspects of yourself is a fun job, but more than that, it positions you for long-term success. Times are changing, and careers are more fluid now than they’ve ever been. It really is up to you to determine what you want — and it’s entirely within your power to make that happen. You are the only one who makes your choices, which means you’re the one in charge of where you’re going! Challenge yourself to remain flexible and open, and put energy into developing your experiences and your network of people. The relationships you build are like keys that can unlock different doors as you move through your life. When you get involved with an initiative either in or out of the classroom, it’s true that you are building certain specific skills. But you’ll also be developing incidental skills right alongside. All the experiences you engage in shape the person you are becoming, and can set you more firmly in the path of developing a career that’s exactly right for you. Take every opportunity to try new things that interest you. Research shows that students who get involved do better in school, and the skills you’ll learn through your non-academic experiences can do as much to prepare you for your career as your deep academic learning. UBC and LFS have created numerous avenues for you to follow your interests, and to build your repertoire of career-transferable skills. 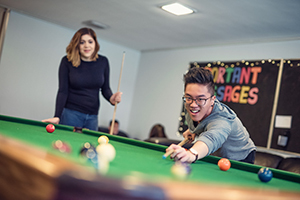 Whether you choose to expand your skills through a co-op, working on campus or connecting up with an industry mentor, you’ll be positioning yourself well for employability after graduation. Read the chart below, and explore your options more deeply through the links. Complement your in-classroom experience with academic enrichment, discover new opportunities to apply your education in a hands-on way, and invest in your own academic success. In-class skills like giving presentations, being an effective group member or hands-on experience during a practicum placement are all examples of how your academic experiences will give you the transferable skills you need to prepare for a successful career. Give back, have fun, and get connected! There are lots of on-campus opportunities to help you gain valuable experience that will strengthen your degree and prepare you for the road ahead. Consider working on campus through the Work Learn program to gain useful skills and meet new people, or volunteer to be part of a team through a student leadership role. Getting involved on campus is not only fun, but it’s a powerful way to grow your career transition skills, too! 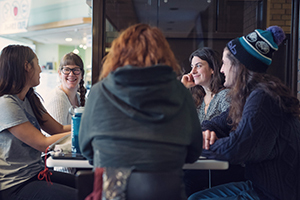 Connect with the community beyond the Vancouver campus, network with current industry professionals, and gain experiences that will help you build a well-rounded degree. 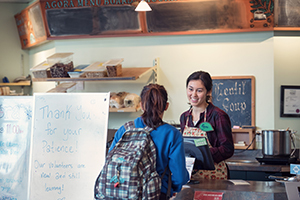 You’ll work with community partners in your LFS core series classes, but if you want to gain additional networking skills and find employment beyond UBC’s borders, you may want to consider applying to the co-op program, or shadowing an industry professional through the LFS Tri-Mentoring program. Where can your LFS degree take you? First off, realize that you’re coming to university not just to learn a specific block of skills. 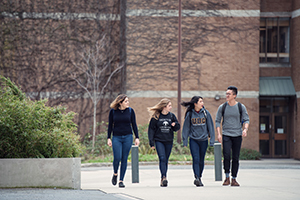 You’re here to learn about your subject area, but you’re also here to learn about what fires up your curiosity — and how to keep learning once you leave UBC’s fold. We’ve already mentioned that the workplace isn’t what it used to be. Change happens quickly now, and people who remain flexible and adaptive to change are the most able to come through the other side smiling. Be aware that you might not enter your dream job right out of university — very few people do! Your job as a human is to keep following your interests and learning more about the things that capture your curiosity. That’s what will lead you to deep pleasure in your work. All through the life span you will continue learning: new skills, new relationships, new ideas. Embrace this learning, and embrace change as it comes to you. It’s okay to change your mind, too: just because you came to LFS with a certain goal in mind, if something tweaks your interest and inspires you to change direction, go that way. One thing is for sure: every LFS grad will be prepared for a fulfilling career. Keep following your interests, because that’s the best way to set yourself up for a career that excites you. To learn more about where your LFS degree can take you, visit the program pages linked below. Here, you’ll learn more about the kinds of careers our alumni have gone on to create. If you’re unsure about what opportunities will best help you meet your goals, we encourage you to visit LFS Student Services to meet with our student engagement officer, career strategist, academic advisor, or all three! We’ll help you narrow down your choices and share what we know about how to reach beyond campus to build your network.